I am a potter working in my West Sussex studio. 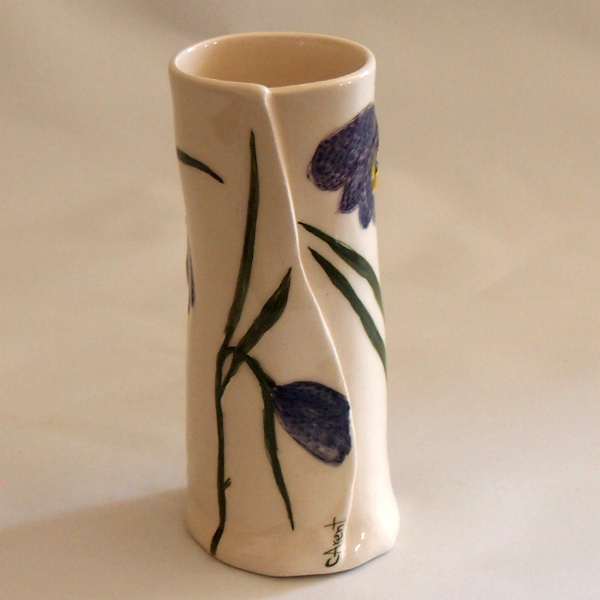 I have worked in the horticultural industry and been a potter for over twenty years and recently became a full-time potter. I love creating items that are individual, tactile and unique to inspire others and most of all to make people smile. My inspiration comes from nature with a great love of flowers especially wild flowers and ferns, I use various techniques, hand building, hand throwing, mould making of real flowers to create positive images, these are then all hand painted and glazed to produce useable and decorative ceramics.